Seth Godin has tremendous influence, particularly in marketing, publishing and entrepreneurial circles. At last count, he’s written 17 bestselling books. Earlier this year, Seth published his 5,000th blog post. While other bloggers float in and out of my daily must-read list, Seth’s been there for years. He’s been dripping valuable insight into my brain, one post at a time. While his books provide deep learning surges, that’s not why I follow him. I follow Seth because he shows up regularly and stirs up thoughts and ideas that help me improve. Quick fix? Nope, that’s not his style. He’s like a personal trainer who keeps reminding us to put down the Oreos and get back on the elliptical. These events have tremendous potential to spark deep learning surges for your community. But what happens when your attendees head back to the office? 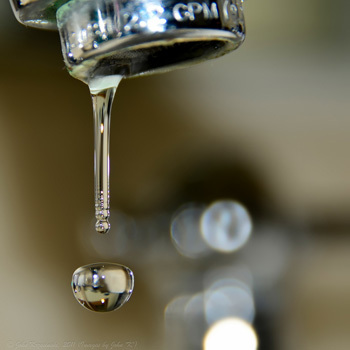 What drips are you delivering on a steady basis to help your community continue to improve? You’d do well to borrow a page from the Godin playbook to earn loyalty that lasts – and multiplies. Your conferences and trade shows are much like Seth’s books. They’re “big bang” moments where your audience can immerse themselves in all kinds of rich exchanges with thought leaders and peers. You need a conference blog, just like Seth blogs on a daily basis. Believe it or not, you have much of what you need already. Invest time to repurpose those “greatest hits” from the conference and create helpful posts that can be dripped out for weeks. Check in with your speakers and find out what other gems they might have to share. Embrace your role as performance improvement coach, reminding your audience to keep at it and apply what they learned at your conference. If you don’t provide curated content from your conference over a period of time to your customers, they start looking elsewhere for helpful information. If you don’t provide a drip by drip conference content strategy. you are missing an opportunity to position your organization as a thought leader in today’s crowded world of noisy information. If you don’t provide a way to drip out important content and take aways, you have to start fresh each year convincing your customers that they should come to your event. The learning landscape has flipped. Today, your audience enjoys access to a wealth of content. It’s not all good. In fact, some of it is horrid, but it’s out there and getting consumed (even shared) regularly. Your audience is counting on you to help them sort the wheat from the chaff. They’d also like you to deliver insight in smaller nuggets that can be consumed more easily. That’s where a post-conference drip-content strategy helps. No more posting the whole post-event enchilada in one fell swoop and then lights out. No more expecting attendees to watch an hour-long video to find the one gem they need at the 27 minute mark. No more “all you can eat” content buffets, where your audience is overwhelmed with too many choices. They need a trusted advisor who understands the challenges they’re tackling and who will show up regularly to help them achieve something better. And that advisor should be you and your organization! Who do you follow? What things are these thought leaders doing to earn your attention and loyalty? Adapted from Donna’s Meeting Innovation post on Cvent’s Event Planning blog. ©2013.